DSLR technology continues to advance, and a number of outstanding cameras are available at lower prices than ever before. For under $1,000, you can get a quality DSLR from major brands like Nikon, Canon, Sony, and Pentax. Features like built-in Wi-Fi are increasingly popular, as are improved video performance and flip-out screens to make it easier to shoot on the go. Below are our picks for the best DSLRs under $1,000 along with a detailed description of each. The pricier cameras toward the top of this list push $1,000 for the camera body, but we’ve included some cheaper options toward the middle and bottom of the list that will allow you to add a lens or two while staying under budget. For more information, see our DSLR comparison table and buying advice below the picks. What we like: Advanced autofocus and weather sealing. What we don’t: Adding lenses will push you over $1,000. At the top end of the $1,000 price range is the semi-pro Nikon D7200, which is absolutely packed with features and functionality. This DSLR is head and shoulders above mid-range and entry-level models like the Nikon D5500 and D3400 below, offering a more advanced autofocus, a faster burst rate, built-in Wi-Fi, and weather sealing (this is a crucial feature for those who plan on shooting a lot of outdoor photography). If you’re serious about photography and want all the bells and whistles without going full frame, the D7200 is the camera for you (only the new D500 is higher in Nikon’s DX lineup). 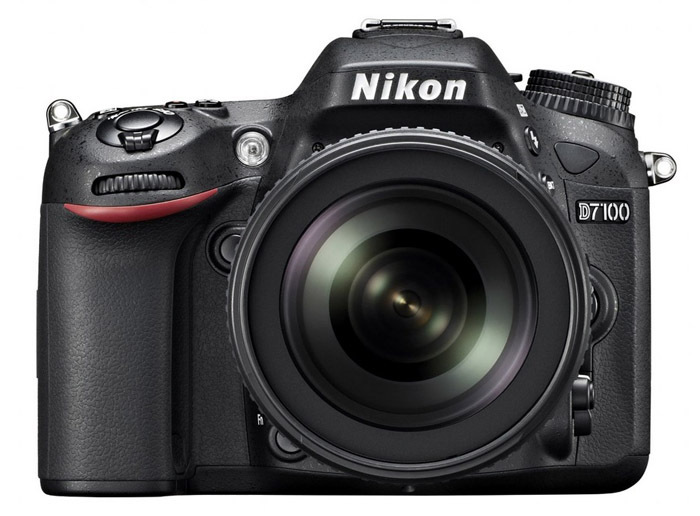 How does the Nikon D7200 compare to the cheaper D7100 below? For the extra $300 you get a newer and better processor, a new image sensor with less banding, improved video quality, and built-in Wi-Fi. Both are solid options and the choice really comes down to budget. If you want to stay under $1,000 with a lens like the 18-105mm or 18-140mm, go for the D7100. We think the upgrades to the D7200 have a lot of value, but they push the price higher for the camera with a lens (the 18-105mm kit currently is $1,297, for example). What we like: Great autofocus. What we don’t: The new 80D has some nice upgrades (but unfortunately isn’t under $1,000). The leading Canon DSLR under $1,000 is the 20.2-megapixel 70D (the company recently released the Canon 7D Mark II but that model is pricey at around $1,500 for the camera body). 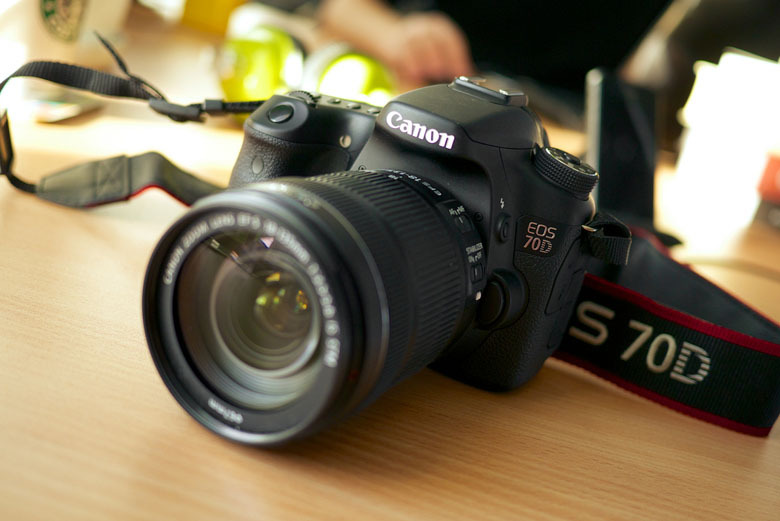 The 70D is an enthusiast DSLR and similar in specifications to the Nikon D7100 below, but with a flip-out screen and built-in Wi-Fi. You also get phase detection autofocus that is fast and accurate for both videos and stills. The only notable downsides of this camera compared to some of the options below are that it’s two years old and counting, which is evident is the 20.2 megapixels. The Canon 80D was released in early 2016 but that model costs around $1,100 for the camera body. What we like: A serious prosumer DSLR. What we don’t: Like the Canon 70D above, the D7100 is on the older side of the spectrum. One great way to save on a DSLR is by going with an older generation model, and the D7100 is just that. This was Nikon’s leading DX-format camera for years until the recent releases of the D7200 and D500, and we still love what it has to offer. Compared to the cheaper Nikon options below, the D7100 shoots faster, has superior autofocus, performs better in low light, and is weather sealed for protection from the elements. With the features and functionality of an advanced camera, the D7100 is a DSLR built for enthusiasts and available at a reasonable price point. As we mentioned above, the D7100 has an older processor and image sensor than the newer D7200, and you don’t get wireless connectivity either without adding a special adapter. But with very similar resolutions and autofocus systems, the most important components are on par. With the D7100 being $300 cheaper, it’s a really close call. What we like: Excellent video capabilities including STM kit lenses. What we don’t: For stills, we give the nod to Nikon. With the success of the Rebel series, Canon keeps rolling out new models without the need for major tweaks. The new Canon Rebel T6i does feature a bump in resolution at 24.2 megapixels (the T5i is 18 megapixels), which bridges the gap with Nikon’s DX cameras and makes it a serious contender to just about any entry-level or mid-range DSLR. Canon also improved the autofocus and added ever-important Wi-Fi capability to the mix. 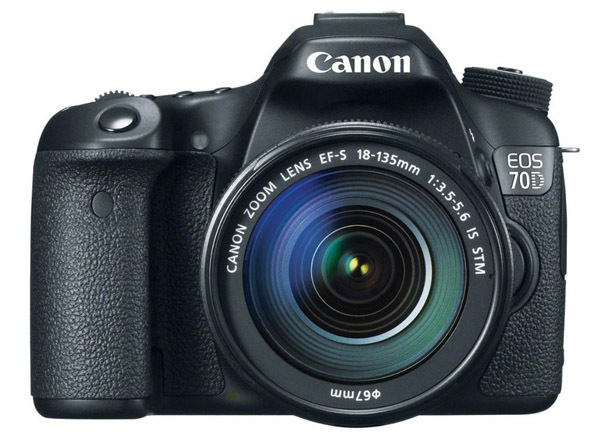 Interestingly, Canon offers two versions of this camera: the T6i and the T6s. The latter retails for $100 more and comes with a few added features like an eye sensor for the optical viewfinder and a quick control dial. You won’t get better image quality with the T6s, but we do like the extra goodies. 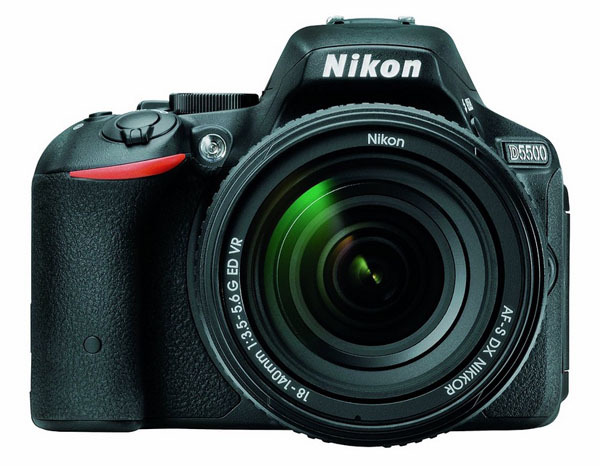 What we like: Nikon’s top mid-range DSLR. What we don’t: $400 more than the D3300 below. The major announcement from Nikon last year was the release of the D5500. First and foremost, the D5500 is an excellent mid-range DSLR that boasts many of the same specs and features as its predecessor below (the Nikon D5300). The most notable additions are touch screen functionality on the rear LCD, along with some improved ergonomics that make the camera lighter in the hand and easier to grip. Like the D5300, the D5500 does not have an optical low pass filter for better sharpness and detail than cameras that do. You also get built-in Wi-Fi like the D5300 but not GPS, which is an interesting omission. At the same price as the D5300, there is no reason not to buy the latest and greatest. 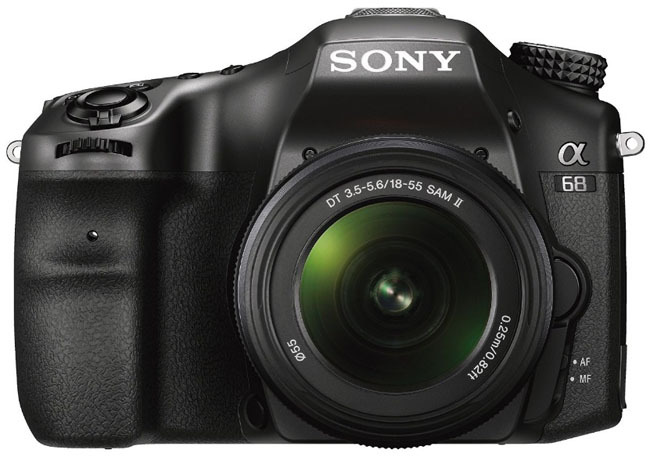 What we like: $250 cheaper than the D5500 above. What we don’t: No touch screen functionality and heavier than the D5500. 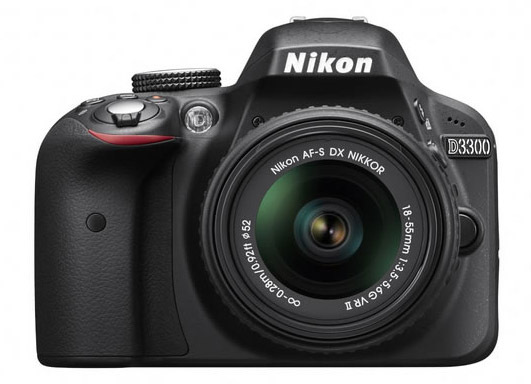 The 24.2-megapixel D5300 is part of a long line of successful Nikon DSLRs. This camera replaced the Nikon D5200, which was one of the most popular models of years past. What are the differences between the two? The D5300 does not have an anti-aliasing filter, which allows for more detail, and comes with built-in Wi-Fi and GPS. 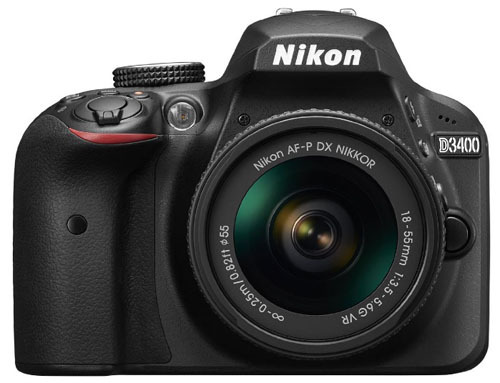 Compared to entry-level Nikon DSLRs like the D3300, the D5300 has better low light performance, shoots faster, and boasts a number of features like in-camera HDR and a flip-out screen for movies. In terms of camera/lens kits, you can get the D5300 with the improved 18-55mm VR II for around $800, and the camera with the 18-140mm lens comes in at just under $1,000. What we like: Considerably cheaper than it once was. What we don’t: Fewer megapixels than the T6i above. For years, the Rebel T5i was the flagship model in Canon’s entry-level Rebel line, and it's still extremely popular among first-time DSLR buyers. The most notable improvement from previous models is the new 18-55mm STM kit lens, which has continuous live video autofocus and better optics than the 18-55mm lens sold with older models. All in all, the Rebel T5i is an excellent DSLR for those who want a nice balance of image and video quality and ease of use at a reasonable price point. 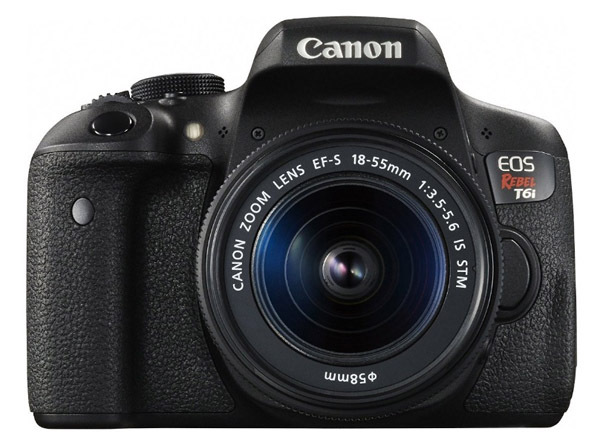 With the release of the Canon Rebel T6i above and its 24.2 megapixels, the T5i has fallen significantly in price and now is a good value camera. What we like: The fastest burst rate on this list at 8 frames per second. What we don’t: Heavy despite the small form factor. Sony is best known for its mirrorless offerings, but the new Alpha a68 is an intriguing DSLR in the $700 price range. Sony’s Translucent Mirror Technology allows the camera body to have a smaller form factor than comparable DSLR models, although it does weigh 24.6 ounces, putting it at the top end in that category. The a68 also has the highest burst rate of any DSLR on this list at 8 frames per second, making it a viable action camera on a budget. As with Pentax, however, the lens selection leaves us wanting compared to Nikon and Canon. The a68 also has an electronic viewfinder but no optical viewfinder, and we prefer the latter for accuracy and long shooting sessions where the EVF can wear on your eyes. What we like: Better battery life than the D3300. What we don’t: Few meaningful improvements aside from that. 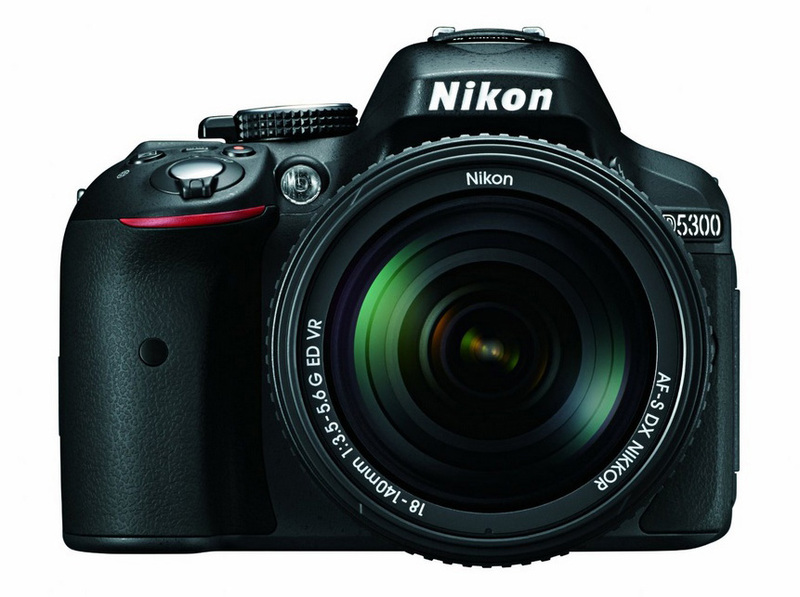 Leading Nikon’s entry-level DSLR pack is the new-for-2016 D3400. Interestingly, this camera offers very little in the way of improvements over the older D3300 and currently is being offered at the same price point (that’s a rarity). Most notable is a significant boost in battery life, although it comes at the sacrifice of the flash. The newer version also is slightly lighter for those who are counting ounces (or parts thereof). And Android users can access Nikon’s SnapBridge technology for transferring images and videos to the app on their smartphone, although we are disappointed that the camera doesn’t offer built-in Wi-Fi like the majority of new digital SLRs. Simply put, if you don’t plan on using your flash often, get the Nikon D3400 for the better battery life. If you do, the older Nikon D3300 below will serve you better and costs the same. Both are excellent DSLRs for those making the jump from a smaller camera or smartphone and want to keep the price down. What we like: Good image quality and a great value. What we don’t: An entry-level DSLR. With the D3300 and D3400 above we have moved solidly into entry-level territory. Compared to pricier DSLR models, the sensor size and megapixel count are roughly the same but many of the advanced features and functionality have been stripped away. For example, the autofocus on the D3300 is among the most basic on this list, the rear LCD isn’t a touchscreen nor does it swivel, and you don’t get built-in Wi-Fi. At the same time, the D3300 is less than $500 with a kit lens and only about $650 for the camera and two lenses. For aspiring photographers who don’t want to even approach the $1,000 threshold, the Nikon D3300 makes a lot of sense. Image quality is solid, the camera is easy to use, and you always can buy DX lenses and upgrade the camera body down the road. Whether or not you should go for one of the mid-range or enthusiast DSLRs above depends on whether or not you value the extra features. What we like: Weather sealing at a good price point. What we don’t: Lens selection is limited. 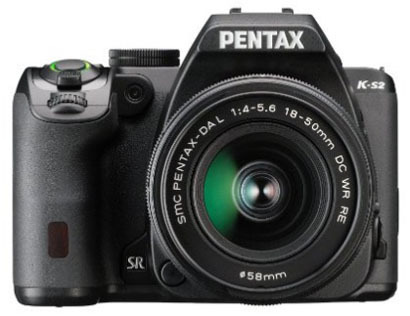 Pentax sits on the fringe for most camera buyers—it’s not a well-known brand like Canon or Nikon but its DSLRs are competitive at the entry level and mid range. First and foremost, the Pentax KS-2 is weather sealed—it’s the cheapest DSLR on the market to offer this added level of protection from the elements. Other key specs include a 20.1-megapixel sensor and handy features like built-in Wi-Fi and NFC. Compared to a similarly priced DSLR like the Nikon D5300, the Pentax has an inferior autofocus and fewer megapixels but image quality is in the same ballpark. We still prefer the extensive lens offerings of Nikon and Canon, and that alone would sway us toward those cameras. But Pentax cameras should not be overlooked, and particularly the value of weather sealing for the outdoorsy crowd. In the sub-$1,000 price range, one of the most important choices is between enthusiast DSLRs like the Nikon D7200 and Canon 70D, and mid-range models like the Canon Rebel T6i and Nikon D5500. Enthusiast DSLRs are a couple hundred dollars pricier but offer more in terms of advanced functionality and manual controls. For example, the Canon 70D has fast phase detection autofocus, is weather sealed, and has a high-end LCD screen, while the Canon T6i has none of those features. But the T6i still is a terrific camera with more megapixels and a cheaper price tag. The truth is that you can’t go wrong with either type of camera, but enthusiast DSLRs do have notable advantages for those who intend to utilize the feature set. 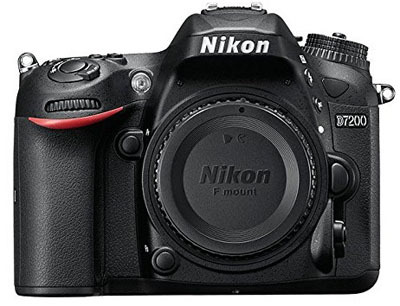 From Nikon, the new enthusiast D7200 just dropped under $1,000 as the 2016 holiday season approaches. It’s a nice jump up to the Nikon D7200 with a newer image processor, more video options, and built-in Wi-Fi, but both are excellent DSLR cameras. We’ve also included the entry-level Nikon D3400 and D3300 at the bottom of this list because of its attractive price point. It’s not a feature-packed DSLR like the mid-range and prosumer models above, but for those on a tight budget, it’s an attractive choice. Two central factors in determining image resolution are the sensor and megapixel count. All of the cameras above have similarly-sized image sensors: Nikon’s DX sensors at approximately 24 x 16mm are slightly larger than Canon’s APS-C sensors at 22.3 x 14.9mm, but the difference is negligible. In terms of megapixels, a number of cameras on this list are right around 24, while the Pentax K-5 IIs trails the pack at 16.3. Megapixels should be a factor in your buying decision, and particularly a jump like the Canon T5i (18 megapixels) to the new T6i (24.2 megapixels). But there aren’t huge differences in resolution so the choice mostly should come down to other specs, features, and your brand preference. Video is now a sought-after feature on virtually all types of cameras. In terms of video resolution, 1080p is the standard with some high-end cameras offering 4K (unfortunately none on this list). As a general rule of thumb, the more expensive the DSLR, the better the video quality. Contributing factors include autofocus, the image sensor, video speeds, and the lens or lenses that you intend to use. All of the cameras above are capable of shooting quality 1080p video. 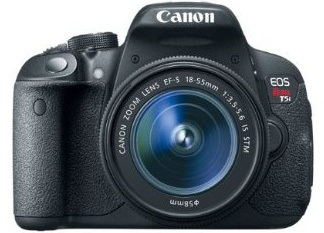 Over the years, Canon DSLRs have been known for producing the best video. Nikon has bridged the gap recently but the distinction still is present. For example, the Canon Rebel series and the new Rebel T6i are best in class for video, and Canon has geared its kit lenses accordingly by adding STM (Stepping Motor) technology for smooth and silent focusing. Comparable cameras like the Nikon D5500 and D3300 are a slightly better value for still photographers, but they can’t compete with Canon in the video department. Some mid-range and high-end DSLRs are weather sealed for added protection from the elements. Weather sealing varies by manufacturer and model and there aren’t universal standards, but the process involves adding rubber sealing and housing on the body and around the buttons to make the camera more resistant to moisture and dust (both can be absolute killers to your electronics). On this list, the following cameras are weather sealed: the Nikon D7200, Canon 70D, Nikon D7100, and Pentax K-5 IIs. For more options, see our full list of weather-sealed DSLRs. Calling these cameras weatherproof or waterproof would be an exaggeration, but they can handle tough conditions well and are popular among those who frequently are out in the field in inclement weather. This doesn’t mean that you can’t use a non-weather-sealed DSLR briefly in light precipitation. Just remember to store your camera carefully and minimize duration and exposure as water may eventually enter. We’ve used non-weather-sealed cameras in the outdoors many times, but it’s a smart idea to wrap up your shoot in any significant rain (these usually aren’t ideal shooting conditions in the first place). For the purposes of this article, every camera body above is under $1,000. Aside from the Nikon D7200 and Canon 70D, you can safely get the other cameras on this list with at least one lens for less than $1,000 total. If you already own a bag of lenses then cost isn’t an issue, but those who are putting together a kit from scratch should factor in at least one or two lenses to avoid surprises down the road. For everyday use and travel, we like the kit zoom lenses including the 18-55mm and 18-140mm versions from both Canon and Nikon. These lenses aren’t of professional quality in terms of low light performance, bokeh, or sharpness, but they have improved considerably over the years and their versatility has a lot of value. If you are a landscape photographer, try to factor in the cost of a good wide-angle lens. If you plan on shooting portraits, there are a number of relatively inexpensive prime lenses that do a great job for the price. For a full list of options including matching lenses to specific camera models, see our lens buyer’s guides and reviews. It’s true that mirrorless interchangeable-lens cameras are serious competition to DSLRs in 2016 and beyond. How do they stack up in the sub-$1,000 price range? We think the top mirrorless option is the Sony Alpha a6300, which has a 24-megapixel APS-C image sensor in a body that is considerably more compact than a DSLR like the Nikon D5500 or Canon Rebel T6i. Image quality is good and we love the weather sealing with the Sony mirrorless, but DSLRs offer a better lens selection and more features like a tilting LCD screen and touchscreen functionality. If size and mobility are your top considerations, going mirrorless makes a lot of sense. From a value and image quality standpoint, DSLRs still win out in this price range.